This little Piggy is not going to the market, but he’s got to get off my kitchen counter. Apparently, I’m not the only one who has preschool art taking over the house. Last month, the New York Times talked about this issue, and one mom said that the artwork goes straight in the trash because she just can’t keep all of it. It is difficult with new masterpieces coming into your home three to five times a week. On the Hines-Sight Blog's facebook page, I asked readers what they did with their little Picasso’s artwork? You all had some great ideas! Some of you have an art gallery on your walls where you showcase certain pieces. I have one for my son, but I forget to change the photos out, and sometimes the artwork just doesn’t fit the space as you can see with my son’s self-portrait on the bottom. Many of you said you have storage boxes that you keep either in the attic or under the bed for your children's artwork. Tricia has an accordion file to save her little artist’s best pieces by grade. Chantal told me that it’s best to save a big pile of artwork first then go through the big pile to eliminate because it’s easier to keep the very best that way. Dawn told me she framed what she considered to be her children’s best artwork through the years then decorated her home office with it. Some of you can’t bear to throw any artwork in the trash whereas others are okay keeping the best of the best and tossing the rest. My mother-in-law kept an oversized, landscape painting featuring a bunny made out of cotton balls that my husband made when he was in elementary school. He found it in her storage room this year, and brought it home for me to see it. We should have photographed it, but after talking about what talents he had as a child, he tossed it out. It was probably a good thing. It smelled and honestly, I didn’t know cotton balls could look so bad after 35 plus years. 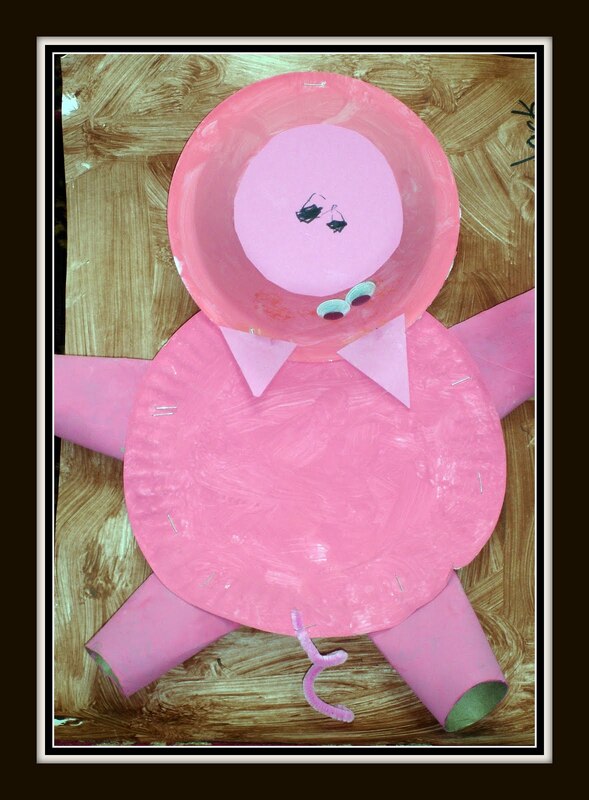 Wonder what a pink paperplate pig will look like in 35 years? 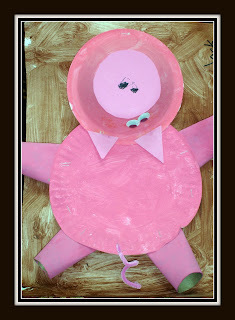 Since welcoming this preschool masterpiece into our home, the little oinker now has a name. I was told that “Orville” was the first pig on the farm at Machu Picchu. Yes, I think that’s a sign that perhaps I need to tone down the travel talk in our house, and focus on some of the basics like reading and math. I just can’t send Orville to the landfill especially now that he has a name and came all the way from Peru. Instead, I’m going to feature him and other masterpieces created by my son in a coffee table book designed through Shutterfly. Luckily, my husband started photographing my son’s artwork years ago in hopes of throwing some things away. He thought it would be easier on me if I had a photo. I think an art keepsake book will be something that we will enjoy having through the years, and my son will enjoy the book as well. Shutterfly books are great quality, and the books are so easy to do. Orville the pig can be remembered forever, and our kitchen counters will be clutter-free most of the time. It's a win-win! I have to find the time to do the book in between blogging, caring for the children, and household chores. It may be complete by the time my son goes to college. Until Next Time, I’m off to get a cup of tea! Please join the Hines-Sight Blog on Facebook. I'll update you on the latest posts. Have some fun with us.